So, there were two big meets going on throughout the state this weekend and then there were plenty more of course. 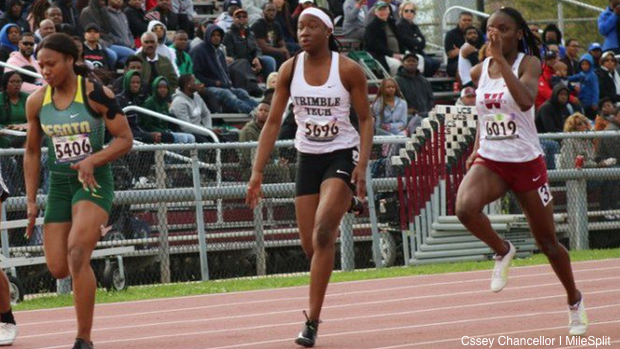 The Texas Distance Festival and the Texas Southern Relays held most of the state's attention and the results were worth noticing. Here are five things that this weekend showed us. Boling ran the 100m for the first time since the seventh grade and it was well worth the wait. He ran a 10.28 in the prelims and followed that up with a 10.22 a day later. He also ran a 20.58 in the 200m, which was not only good enough for the win but also good enough for the top ranked time in the country along with his 100m time. Boling now holds the top time in the state in four events and three top national marks when you add his 47.2 in the 400m and his 20-0.5 long jump mark. This weekend, we saw the Texas Distance Festival (TDF) host some of the top distance runners in Texas and in the nation. 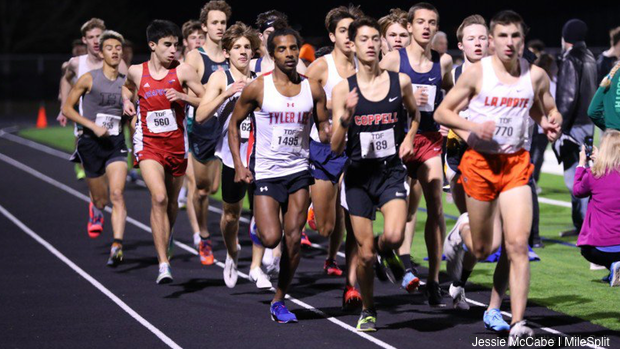 The Texas boys made a point to the other runners nationally as the Elite boys 5K was one of the buzz events and it didn't let the crowd down. Flower Mound Senior Alex Maier, La Porte junior Ryan Schoppe, and Aledo junior Graydon Morris stayed in the lead pack and then pulled away in the final 800m or so. That set up a last lap where the three put on a kick and they were pretty much even with 100m to go when Maier out lasted the field for the win. However, even more telling is the fact that 14 boys from that race ran under 15:00. Eleven of them were Texas boys. With 47 guys under 16:00, it is evident the Texas boys are legit! On Thursday night, we saw Katy Cinco Ranch sophomore Heidi Nielson run a 4:51.14 at the Alamo City Mile in San Antonio. Nielson is already having a great extended cross country season as she qualified for the World Youth team that will compete in Denmark next month. She has continued to somehow produce top track times like a 10:29.23 3200m despite still needing to be fit for an upcoming 6K race. 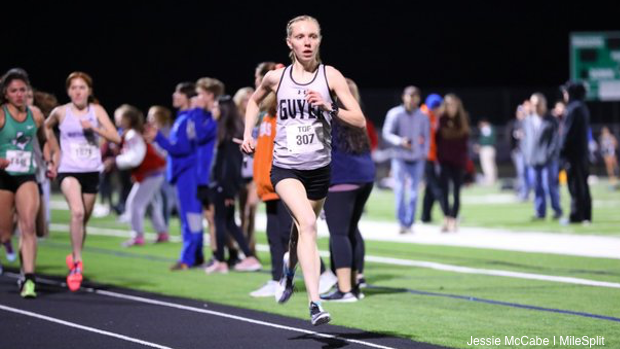 Denton Guyer sophomore Brynn Brown is also in continuation mode of her sophomore year that started during cross. She won the TDF Elite Girls 5K in record fashion. After a half mile, Brown completely took over and put on an unanswered move that eventually led her to a 16:25.47 TDF All-Time mark. Also a part of the sophomore class and having a big weekend was Fort Worth Trimble Tech sprinter Kenondra Davis. Davis participated in Houston at the Texas Southern Relays where she ran some moderate times for her standard, but she still came away with two sprint wins. Davis won the 100m in 11.95 and the 200m in 23.62, both wind legal marks. DeSoto's Jalays'iya Smith took fifth place in a loaded 100 hurdle field at Texas Southern, but she did it with a wind legal 14.11. The individual event workload for Smith wasn't complete as she had the 300 hurdles as well. That is where she ran a SB 43.91 to cap off her weekend. Fort Bend Marshall Is off to a good start! The Buffalos are very good, but what makes this year's squad special is that they are also deep. Marshall had already run a couple of 40.x and 1:25.x relays. This week, they took on some of the best competition in the state and they reigned supreme. Their sprint relays busted US #1 times of 40.66 and 1:24.82. That's not all they did. They have more than four sprinters on their team. They ran a B team in the 4x200 relay and that quartet finished third place over all with a 1:26.50 which would be good enough for the #4 time in Texas and #5 time nationally. Who does that? 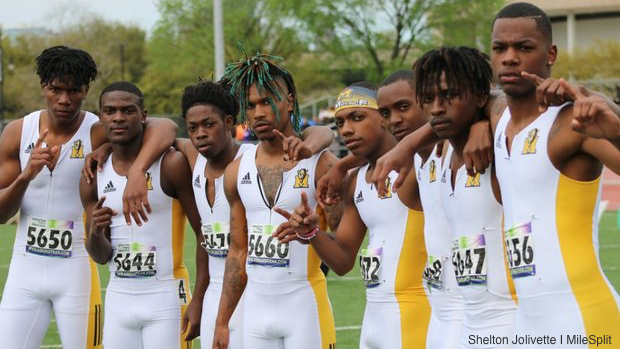 Texas Distance Festival and Texas Southern Relays are two outstanding meets and they give the state of Texas enough track and field action to overdose on. Athletes from all over the state traveled Southlake for the TDF for the competition, for the atmosphere, and for the chance to watch the premiere events and there was no let down. From El Paso, the RGV, Houston, East Texas, and the DFW, athletes and teams made their way for the meet. -27 girls run sub 12 minute 3200s with 11 girls running 11:20 and under, eleven girls, only two of them were juniors and the rest all freshmen and sophomores. -There were also some fast and very competitive 800m and 1600m races. If you think that's impressive take a glimpse at the TSU Relays performances. Teams and athletes also traveled from across the state and even from out of state to compete. 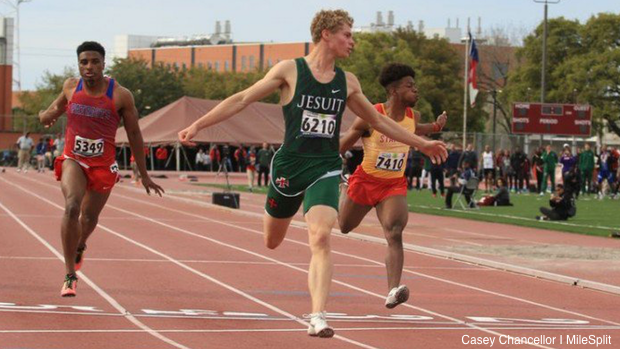 There were state leading performances and four US #1s produced from one meet.